Regularly educating your audience on topics related to your products or services will increase your user retention. You’ll not only be able to keep your customers for longer, but you’ll also increase the chances of them making multiple purchases. With interactive content such as trivia quizzes and slideshows, you can educate your audience in a fun way and increase user engagement significantly. For example, a service that helps businesses with their Facebook ad campaigns could use a trivia quiz to educate their audience about the topic and to attract new customers. 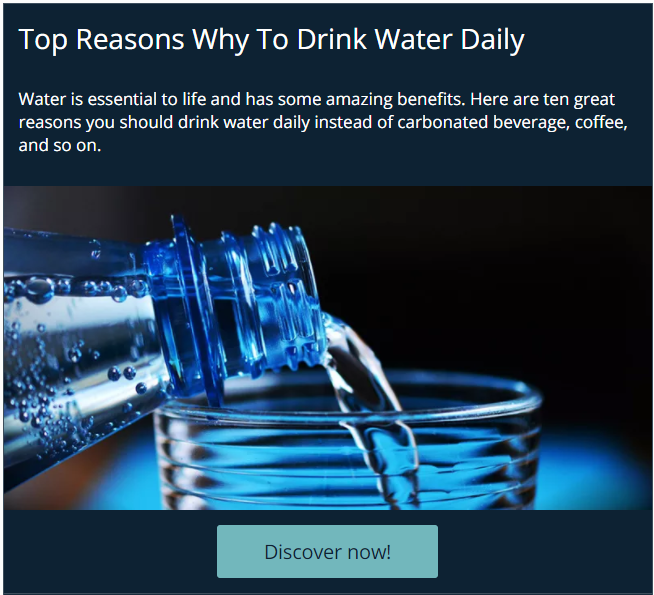 A service selling mineral water could use a slideshow to increase their sales and brand awareness.